If you want More Topspin on Your Groundstrokes, you have to know how topspin is created. Topspin is created with a "low to high" racket swing path through the contact zone. 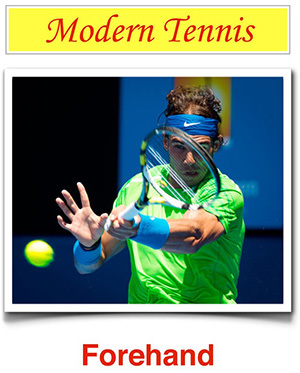 Unfortunately, many players think that "rolling over" the top of the ball will create topspin.